As we like to do sometimes, a round-up of interesting items in the news and elsewhere around Amish America. Donald Kraybill talks about Amish out-migration from Lancaster County in this video from WGAL. Kraybill shares that over the last decade, 400 families have left the settlement. He notes that the Lancaster Amish are the largest affiliation of Amish on the planet. According to The Amish, they are also much more spread out (found in 37 settlements in 8 states) than the next two largest affiliations, the Elkhart-Lagrange Amish (9 settlements, 3 states) and the Holmes County Old Order (2 settlements, 1 state). If you’re wondering, an explanation of Amish affiliations. 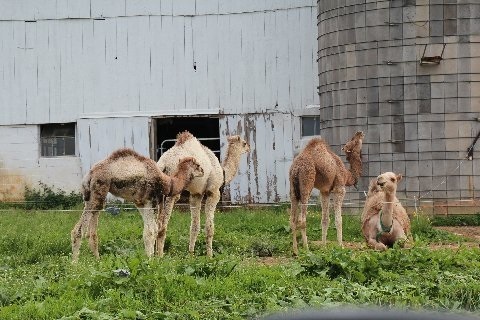 In the video above Donald Kraybill mentions the Amish-run Lancaster camel farm we had a look at here last summer. 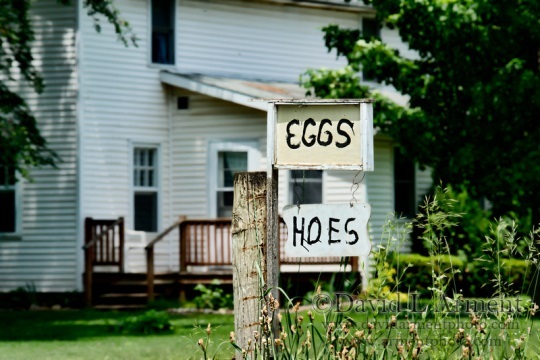 Reader Ed recently made a follow-up visit to the farm, and shares that all seems to be in order. Ed suggests this single camel, in a field across the road from the barn, might be a bull. This farm’s camels may be multiplying, but I’ll be curious to hear if the number of camel farms begins to multiply. In April, we asked why criminals seem to target the Amish. 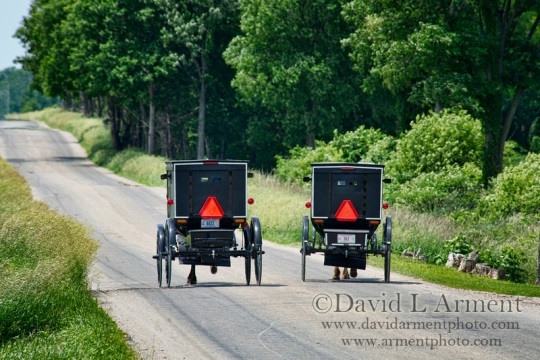 A pair of recent incidents show that Amish continue to be victimized. In places including Somerset County, PA, a thief apparently sought out elderly and Amish victims, stealing items after pretending to be looking for work. In Gladwin County, Michigan, a local report suggests Amish have been targets of robberies, without giving a lot of detail into the cases. Amish genetics may be helping point the way to new medicines to help prevent heart attacks. A small 2008 study among Amish suggested the existence of a gene which helps keep down the level of a blood fat implicated in heart attacks, called triglyceride. Two new studies have identified the gene mutations which keep triglycerides low. A drug which mimics this effect could benefit anywhere from 2-3 percent and up to 20 percent of adults. Read more here. 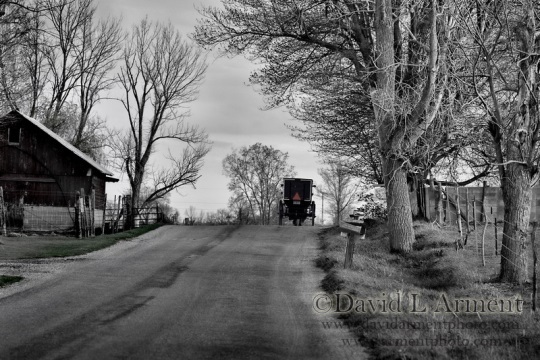 Our newest sponsor here at Amish America is David Arment Photography. 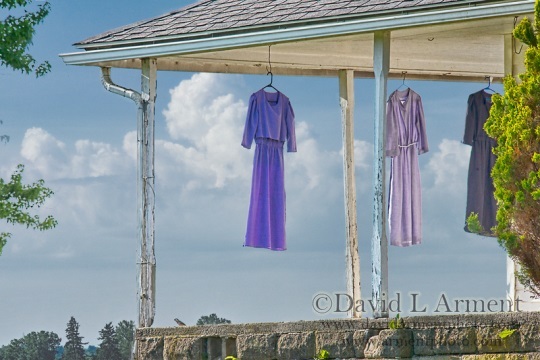 David takes beautiful photos of Amish scenes in northern Indiana, and other rural subjects. You can see more of David’s work, and purchase photos, at amishimages.com. I can’t wait to see a buggy rolling along behind some camels. Wonder if you could use a single hitch or if you’d need a two-camel hitch…. Great article. And love the pictures. My mother used to buy and bake Dromedary pound cake mix. 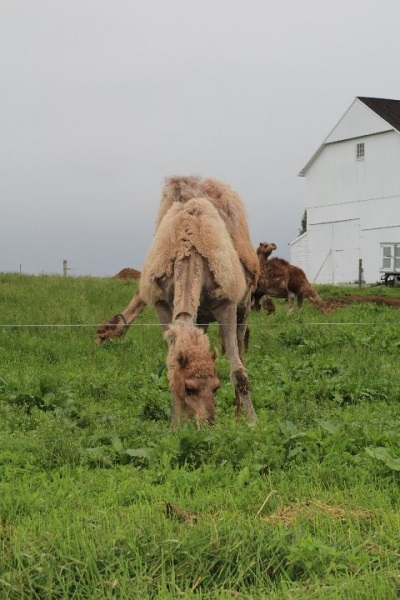 It must have been sometime in grade school when I realized “Dromedary” had to do with camels–those with one hump, rather than two. The pound cake DID have “one hump”. I ALWAYS think of pound cake (I’m over 60) when someone mentions camels. Or—Clark Bars (“I want a Clark Bar.” I recall the camel in the commercial saying). Can you tell it’s time for lunch and I’m hungry? I’m sure camel milk will have many uses, like donkey or goats milk–especially cosmetic ones (goats milk lotion is great for dry hands). Oh—I just heard the same triglyceride/gene info on the radio this morning! I’m on a statin for high triglyceride, so the story is of interest to me, for sure! Also, I often wondered how the Amish could eat all that lard, cream, butter, bacon, etc., and yet still seem to live healthy lives (one would think heart attacks would be rampant).